Ampere's Rule Apparatus helps users visualize the power of electromagnetism. It features a heavy copper wire and iron fillings that show the direction of the field around the vertical portion of the wire. 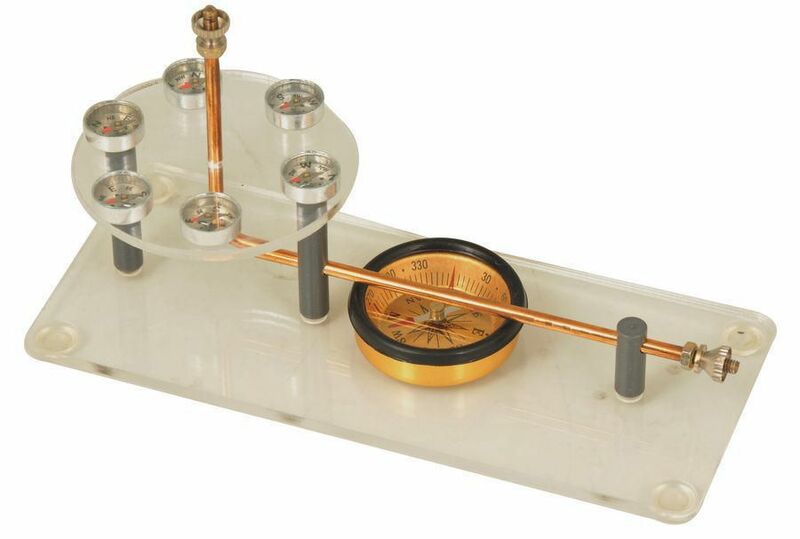 A compass up to 50 mm in diameter can be placed under the horizontal portion of the wire to show the same effect. By sending current through the wire and noting the directions in which the needle points, you can trace the lines of force around the wire and determine the direction of the current.